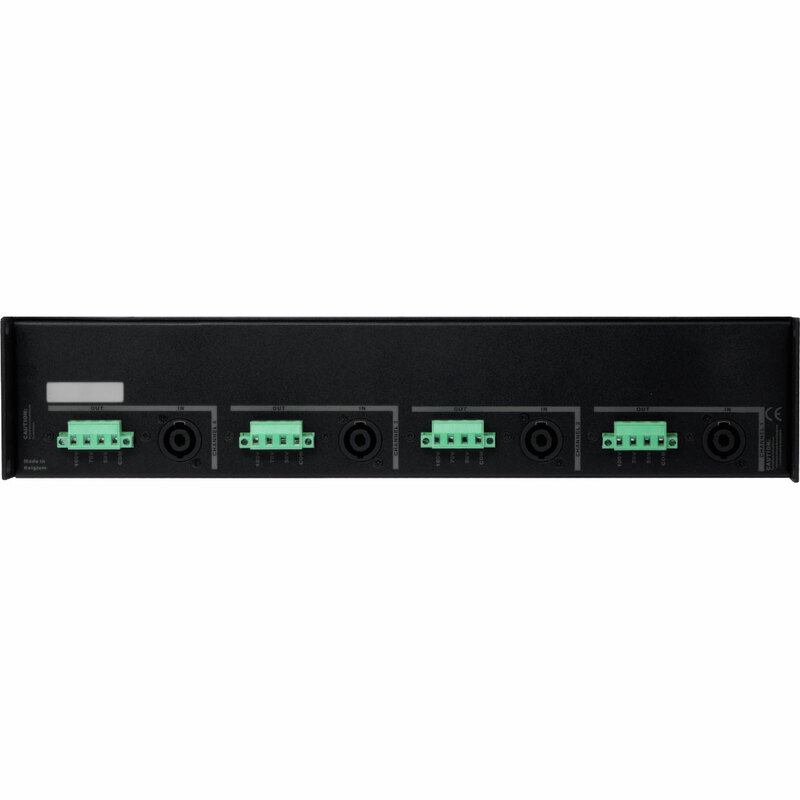 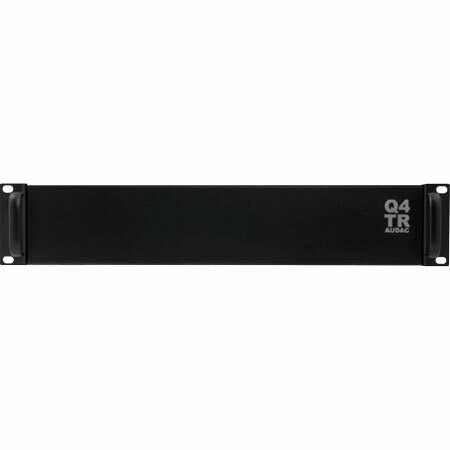 The Q4TR is a line transformer unit, especially designed to be used in combination with the Q4 quad channel power amplifier. 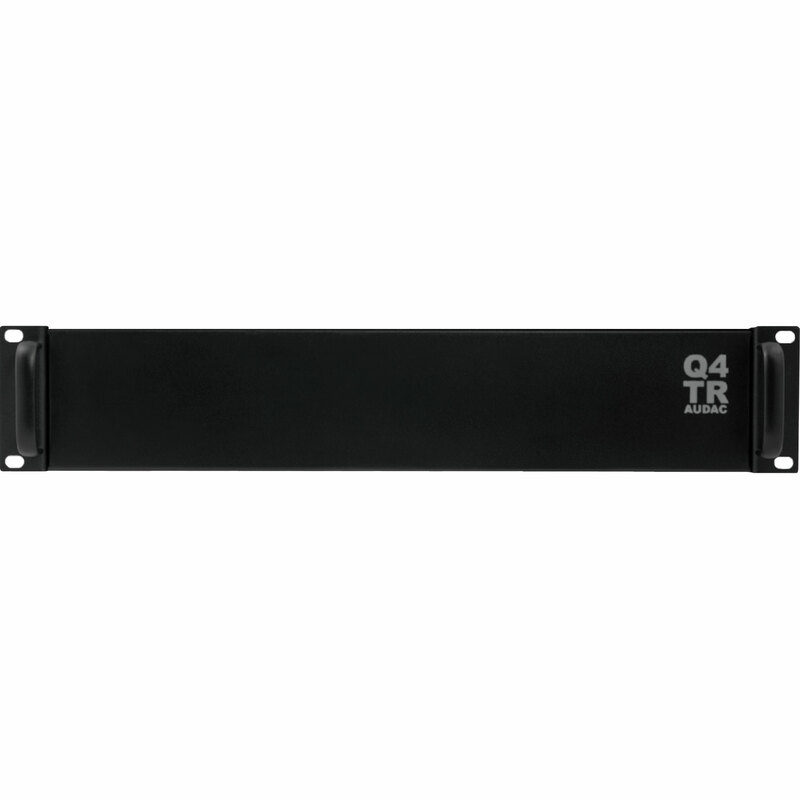 It transforms the 4 Ohm low impedance loudspeaker outputs of the Q4 amplifier into loudspeaker signals to be used in constant voltage audio distribution systems, such as 100V, 70V or 50V systems. It features 4 separate audio line transformers with a total power of 4 x 600 Watt, and the transformers have power taps for 100V, 70V and 50V applications.